Turret Arch Red IV | Irene Abdou Photography, LLC - Travel. Lifestyle. Documentary. NGOs, Development & Public Health. 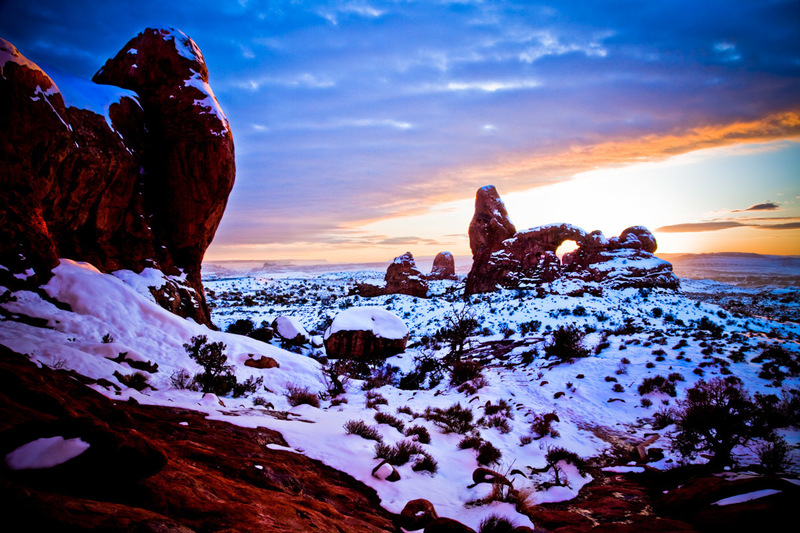 Turret Arch during a winter sunset in Arches National Park near Moab, Utah. Over many years, the forces of erosion have created many such arches, pinnacles, and spires.